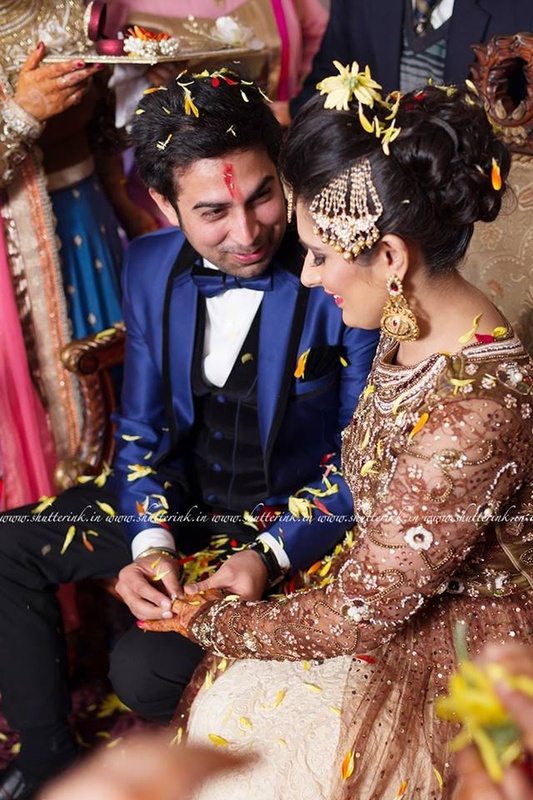 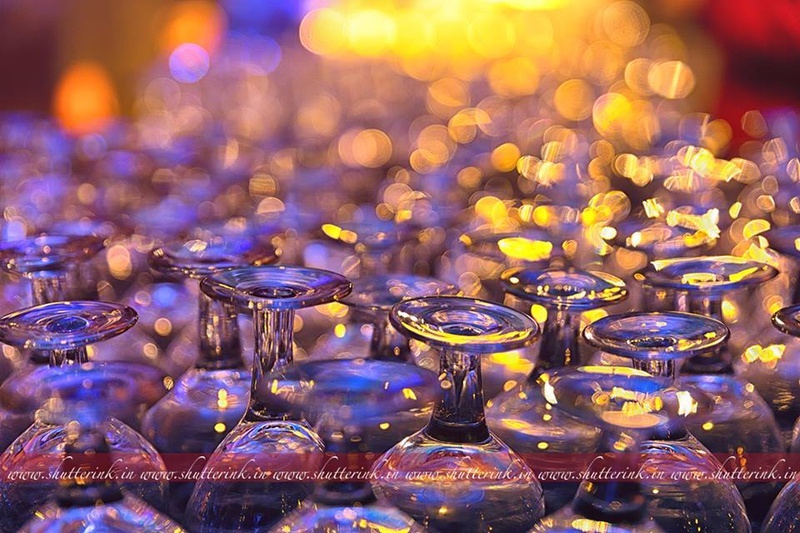 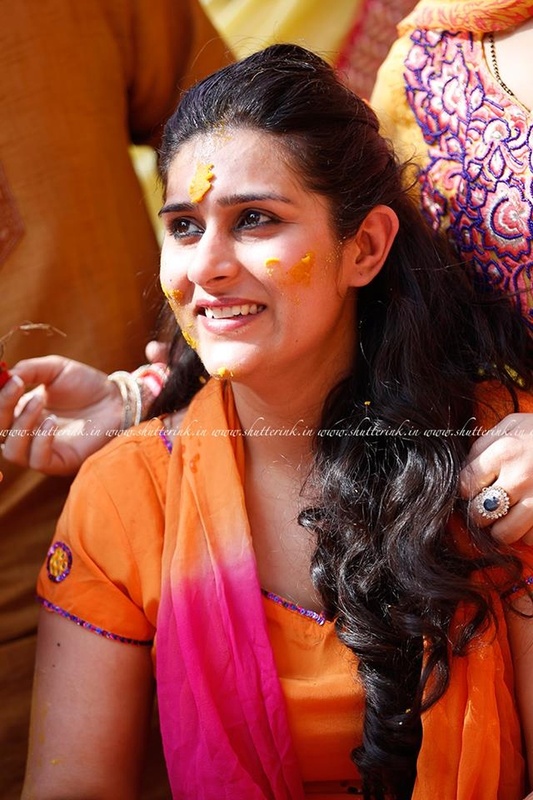 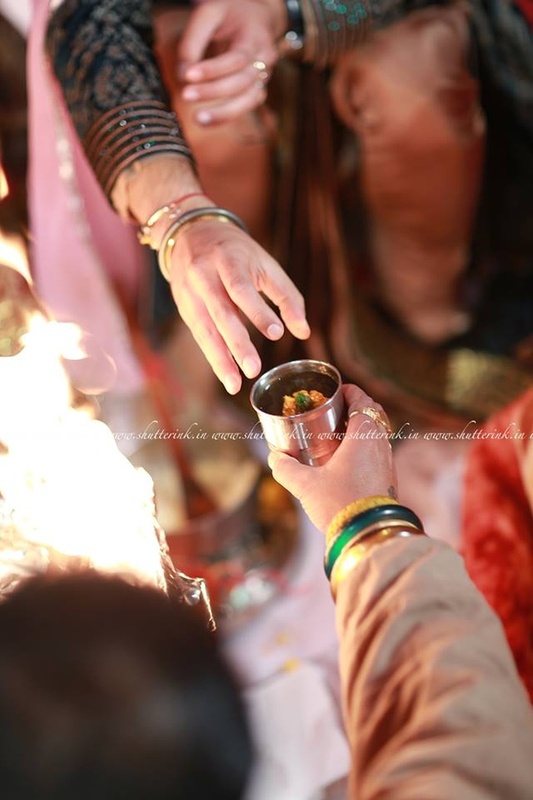 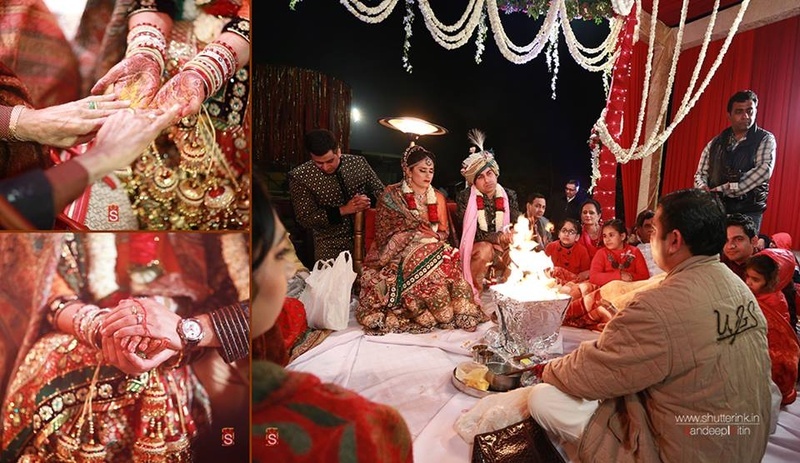 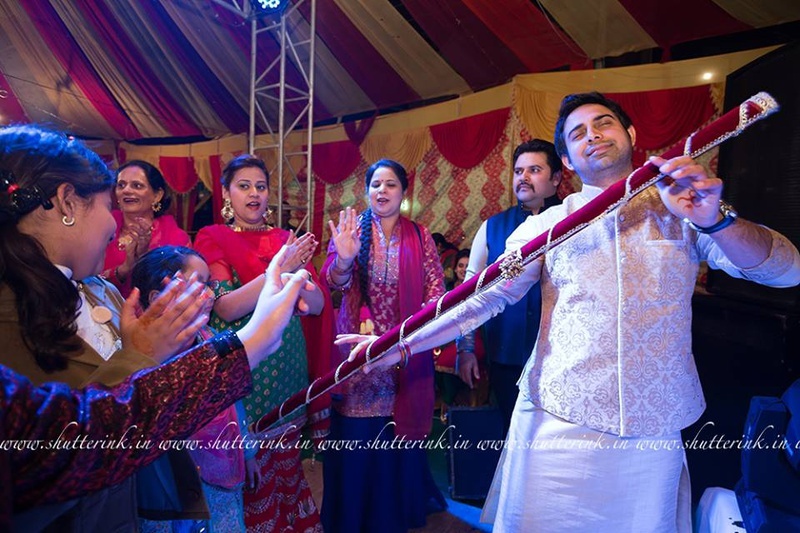 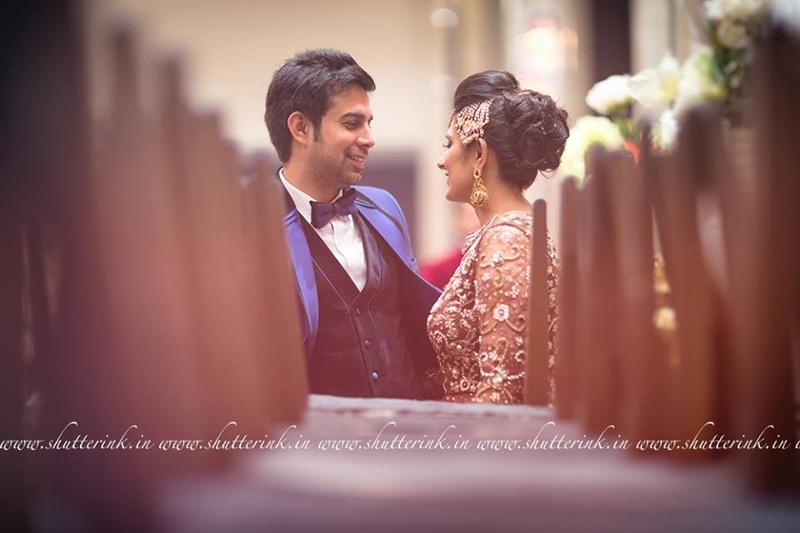 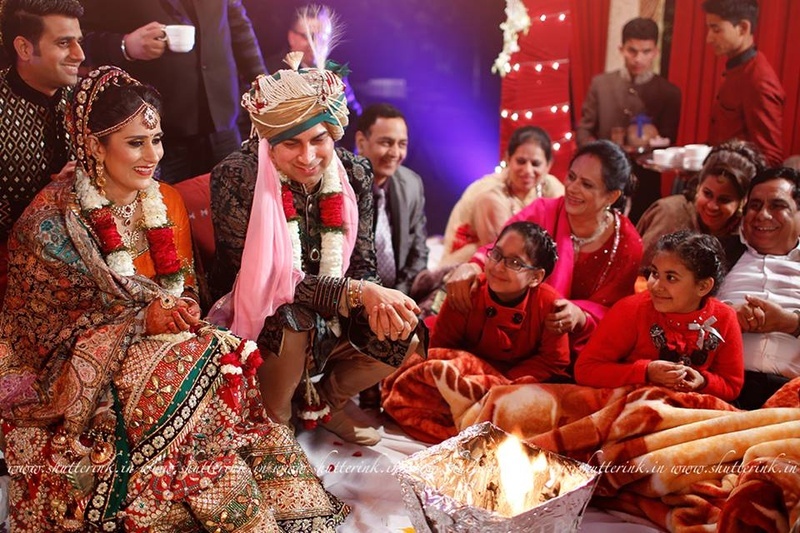 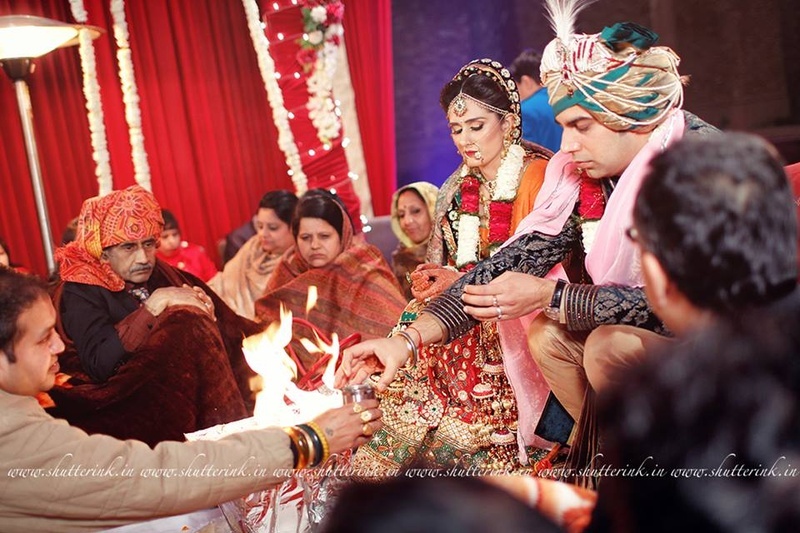 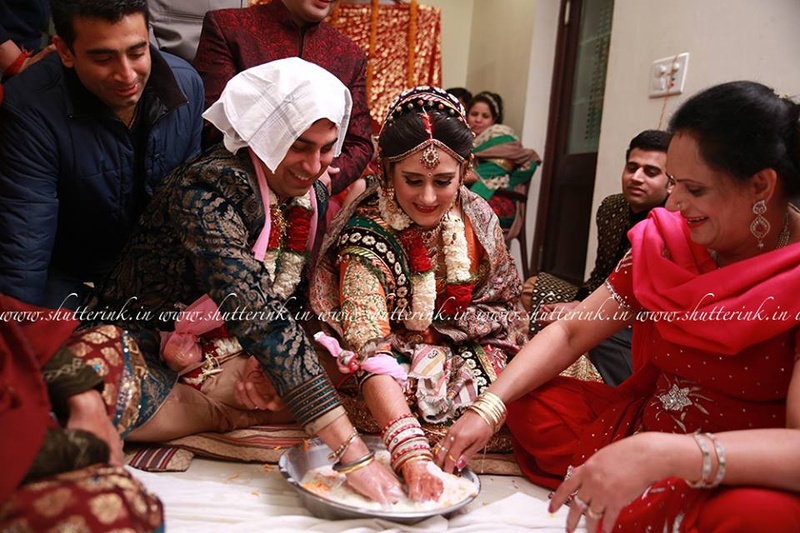 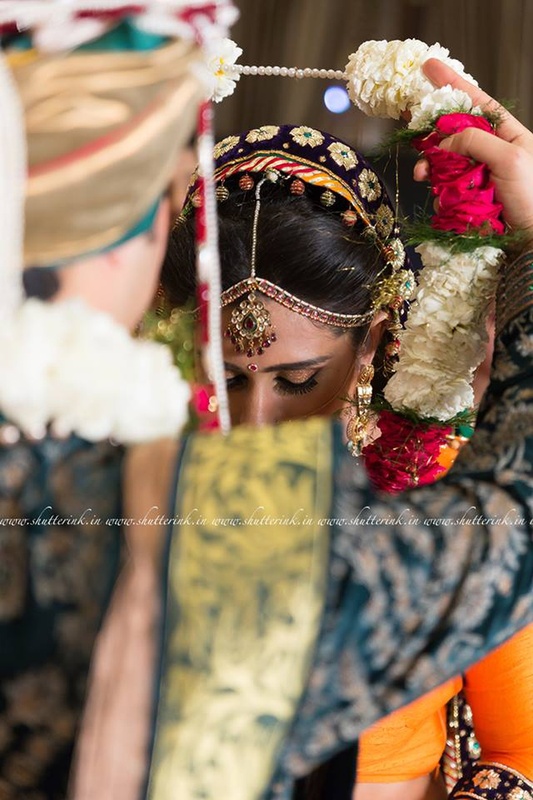 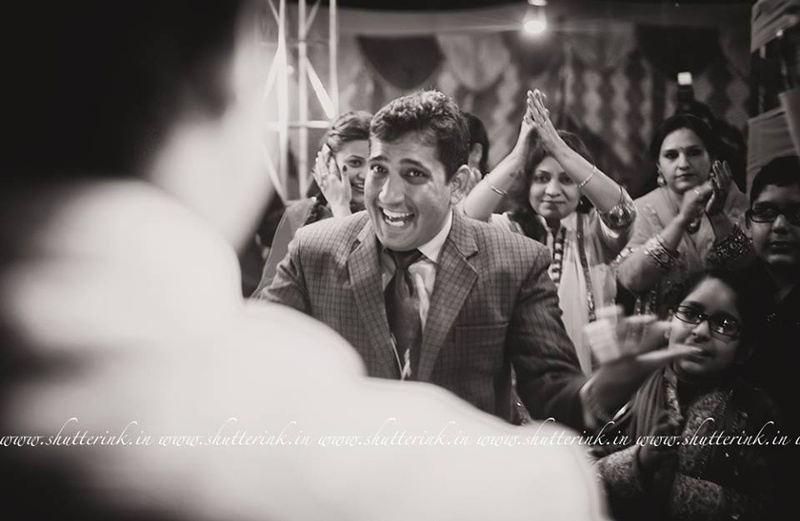 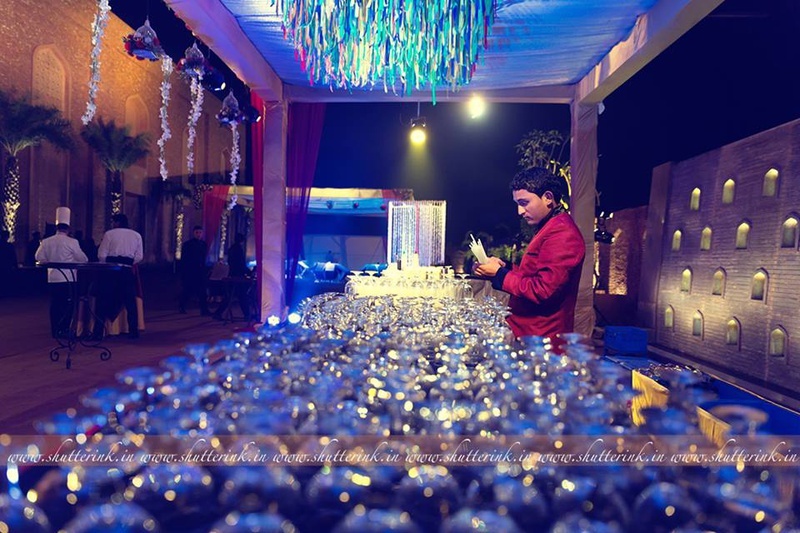 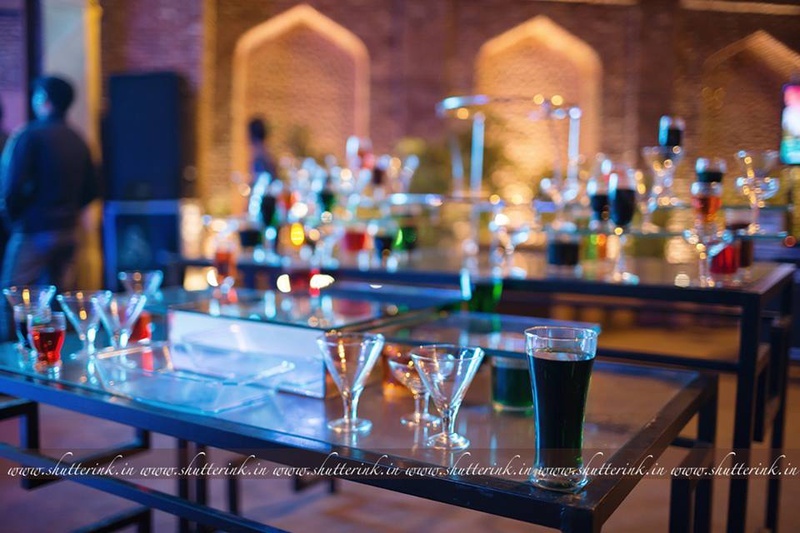 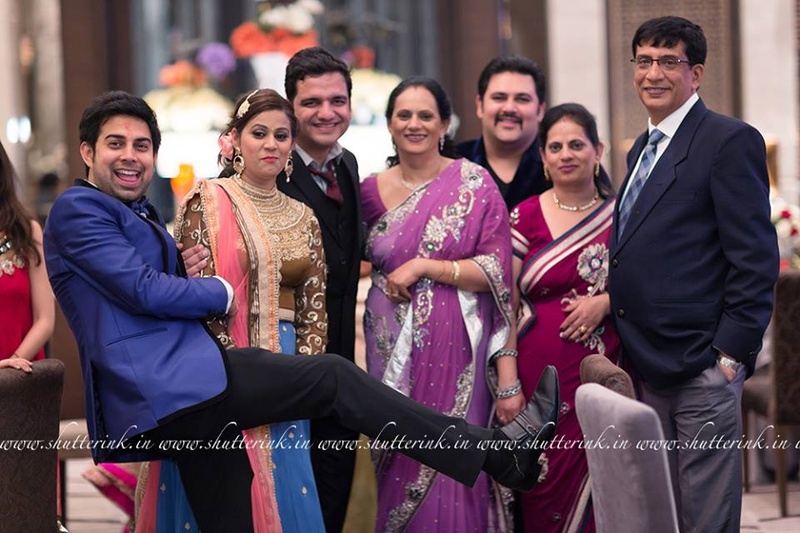 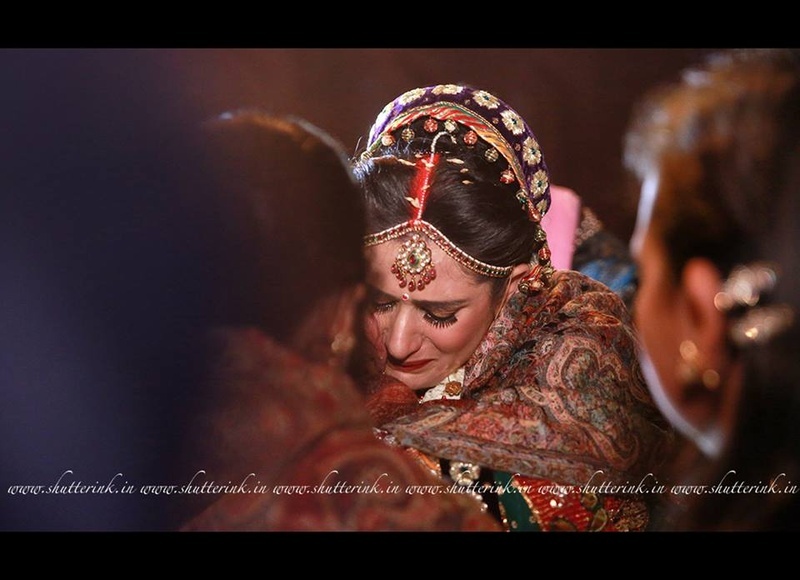 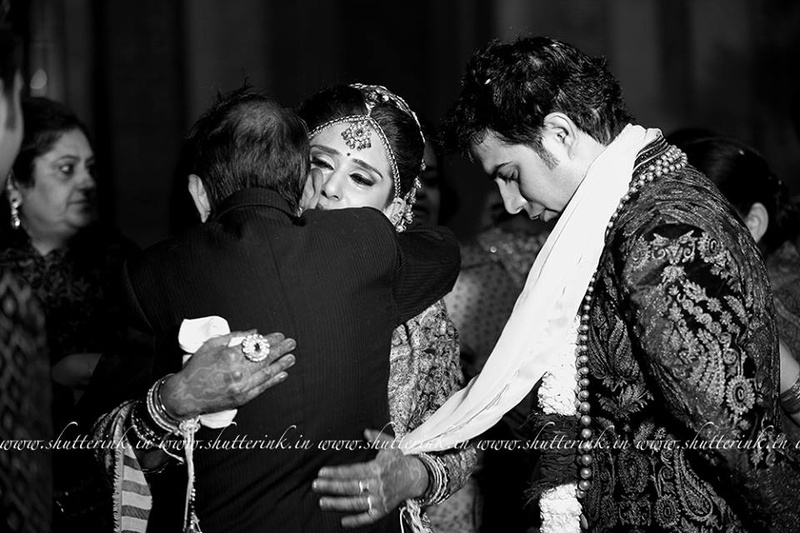 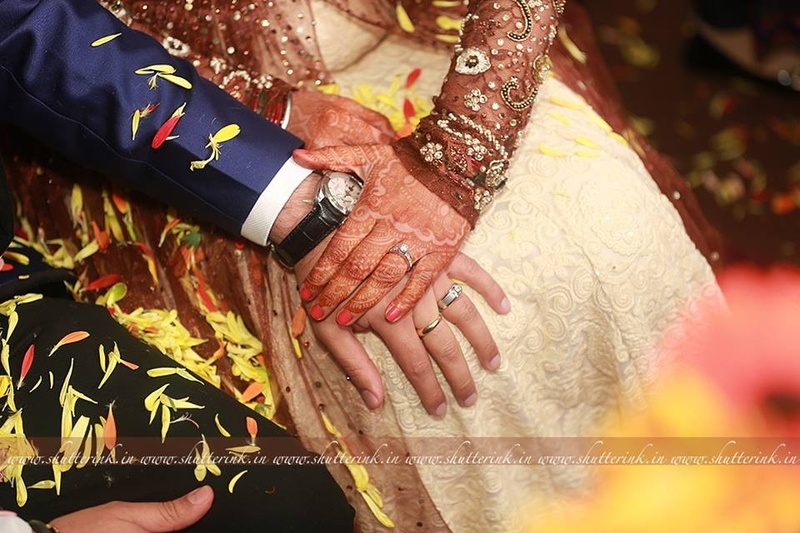 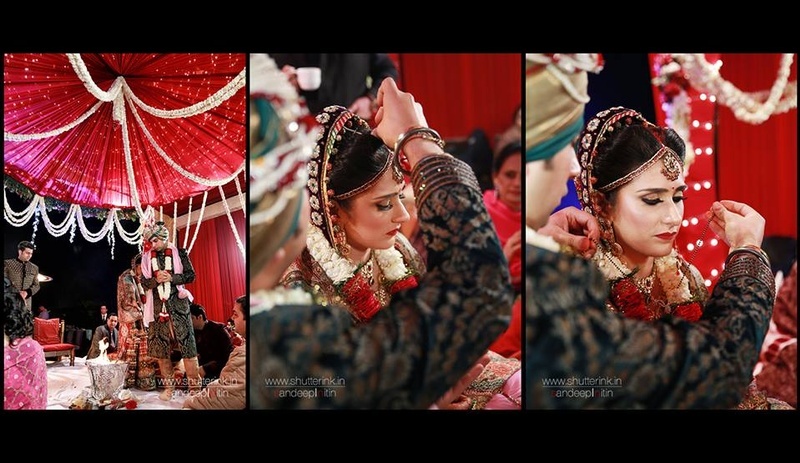 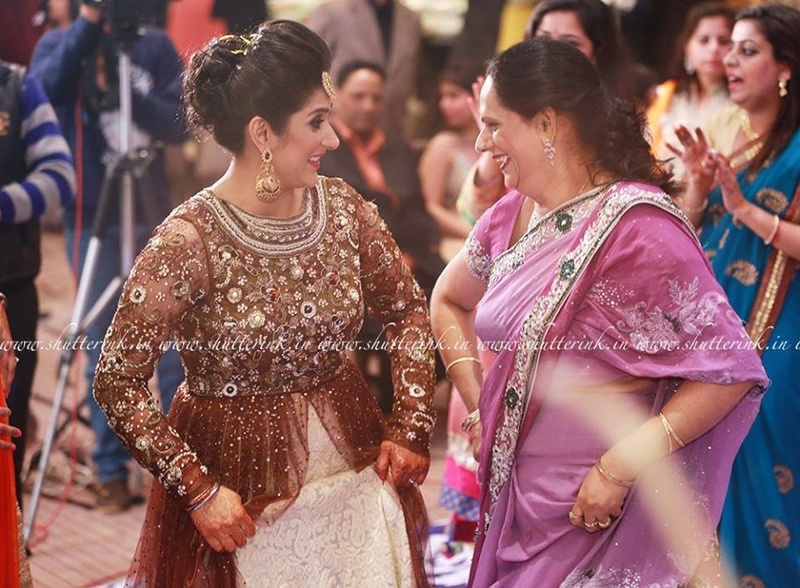 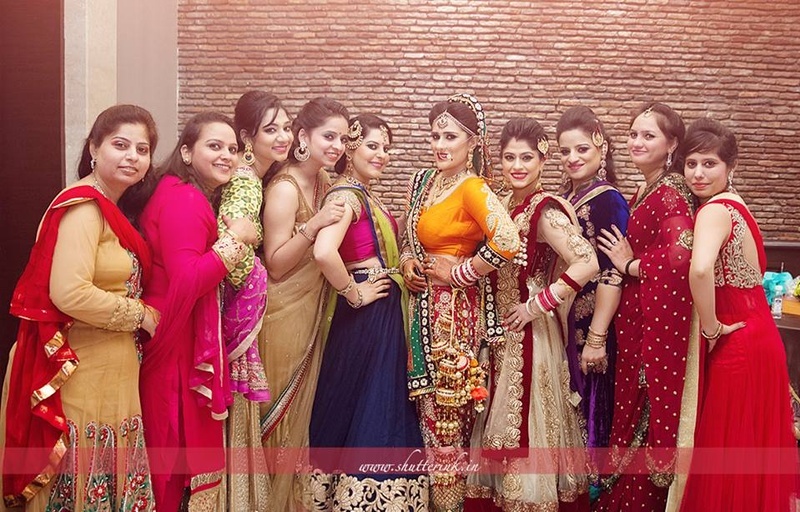 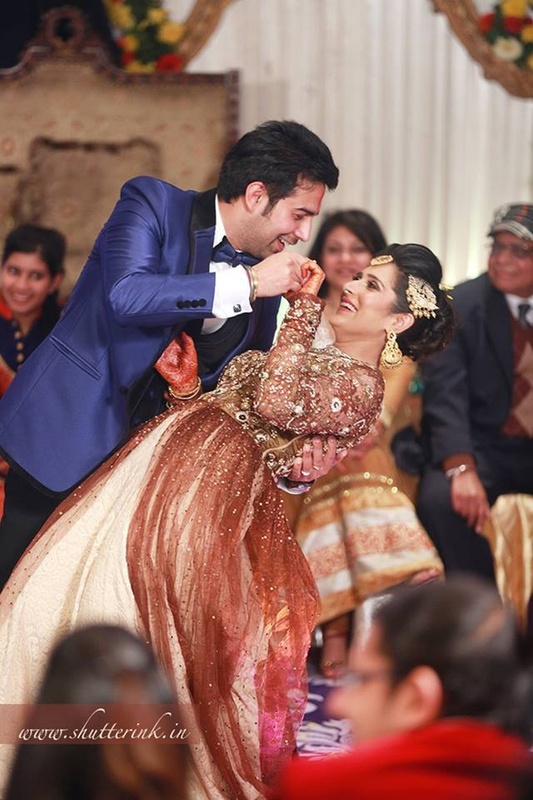 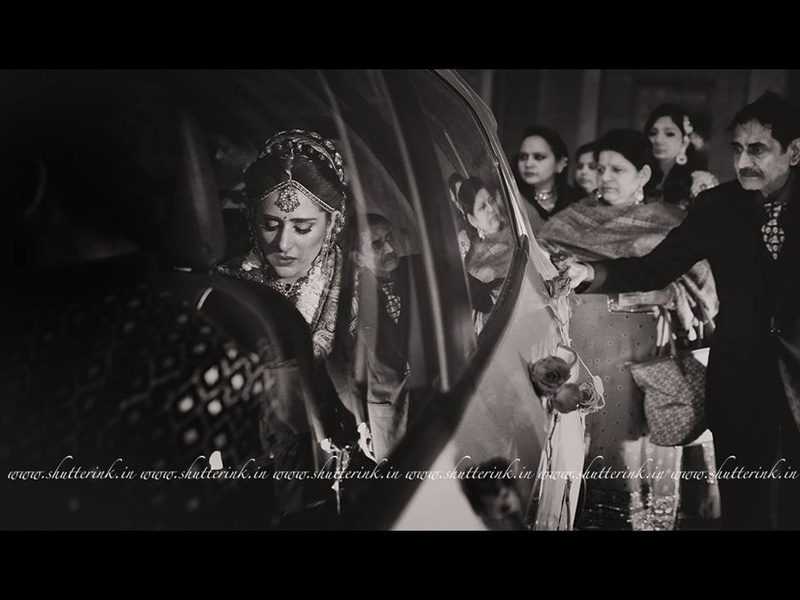 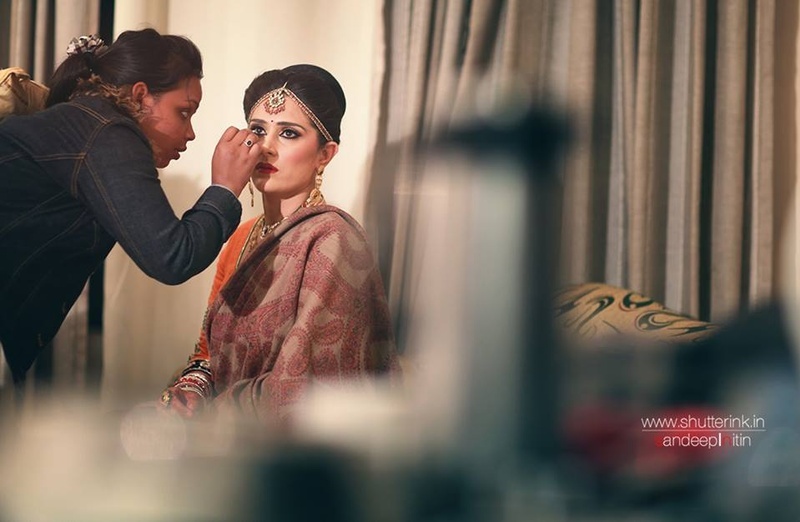 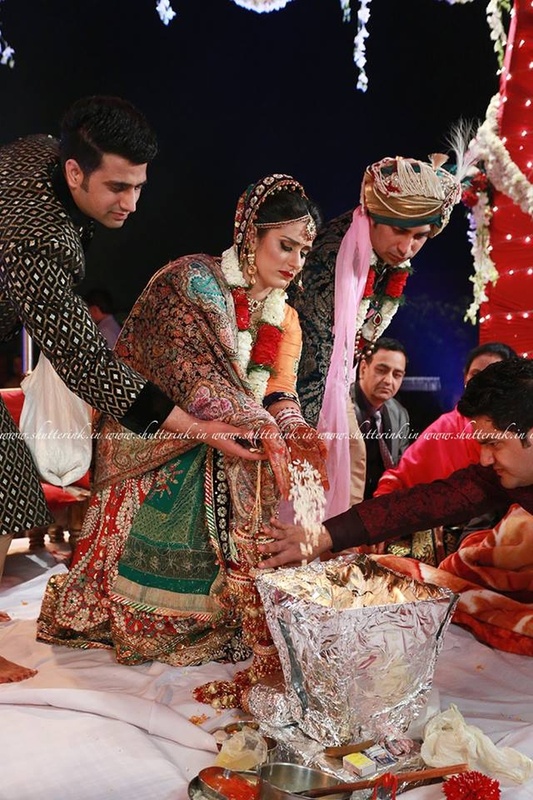 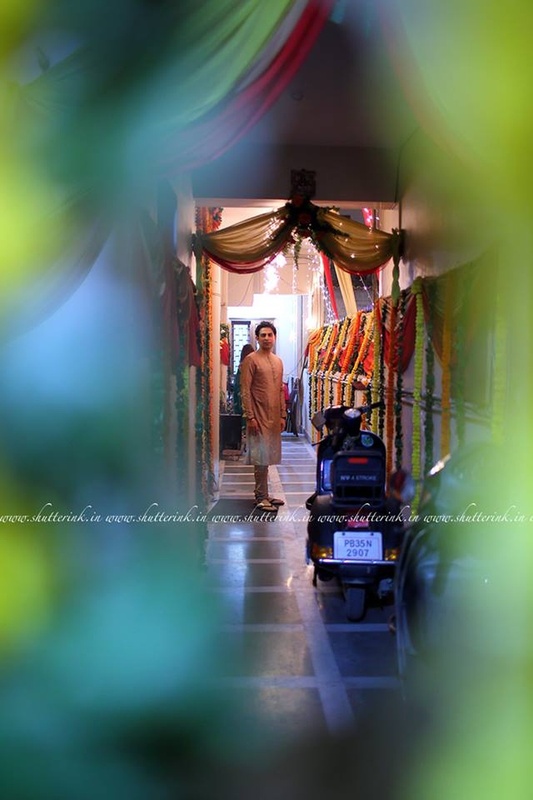 Amit and Payal’s wedding celebrations can be summed up in one simple word - WOW! 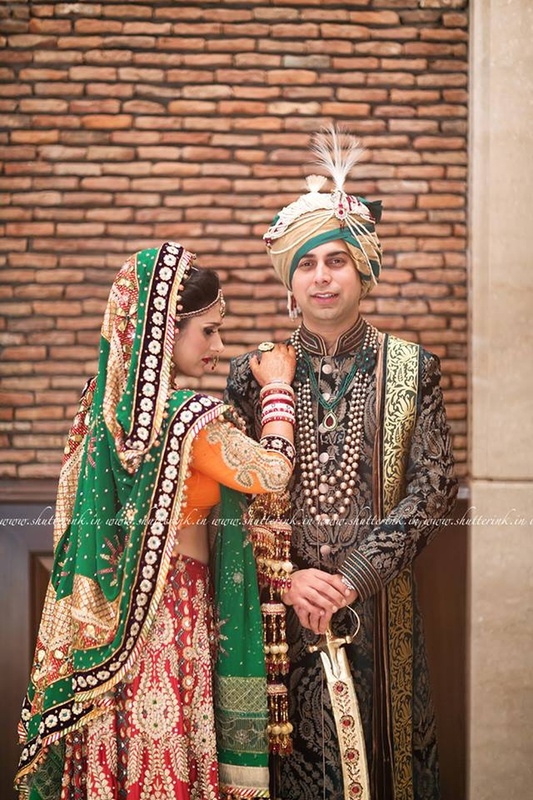 Their royal union was full of exquisite décor and stunning wedding outfits. 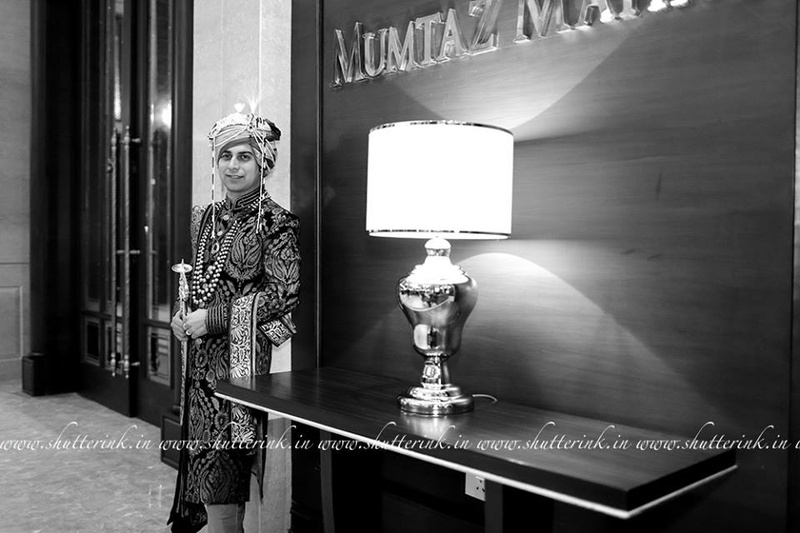 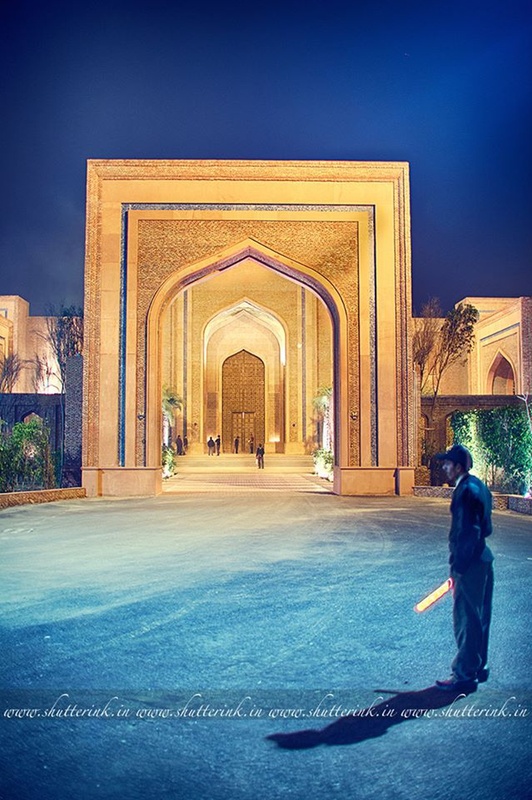 Huge gates with Mughal-like architecture warmly welcomed the guests to the couple’s engagement ceremony. 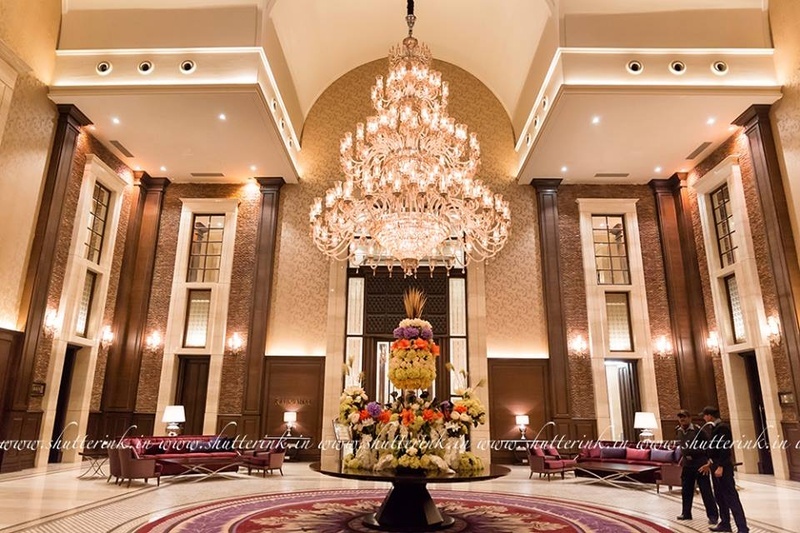 As soon as the guests set foot inside the hotel, the grand chandelier and the sophisticated interiors, simply left them spellbound. 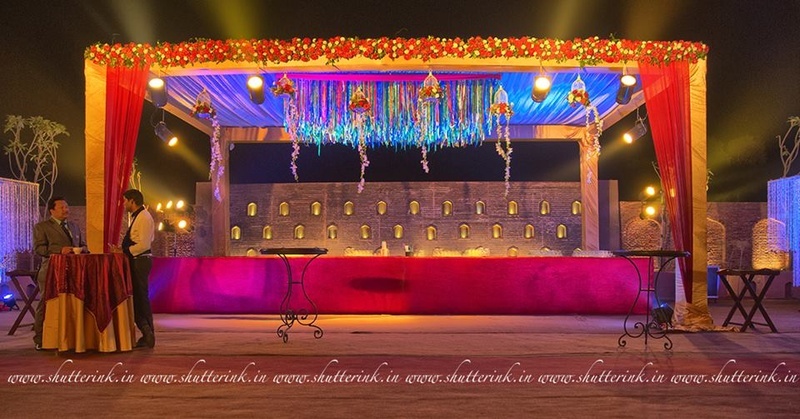 The party area, too was stunningly lit up with colorful lights. 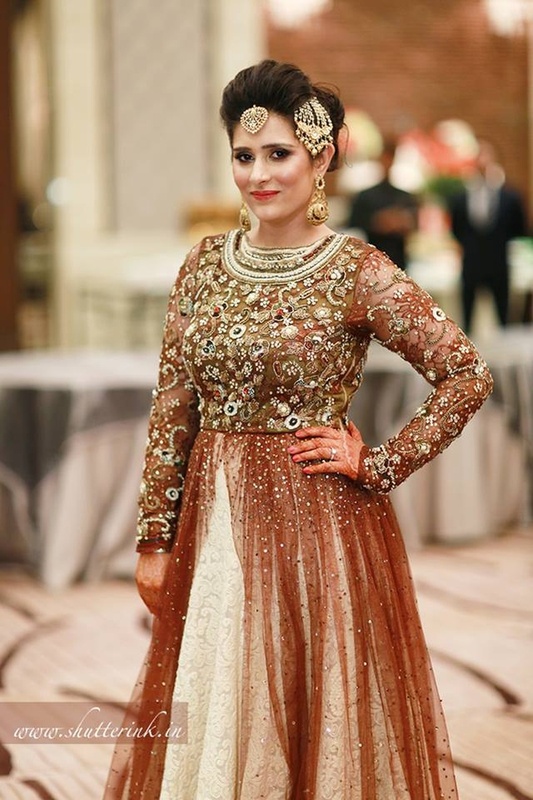 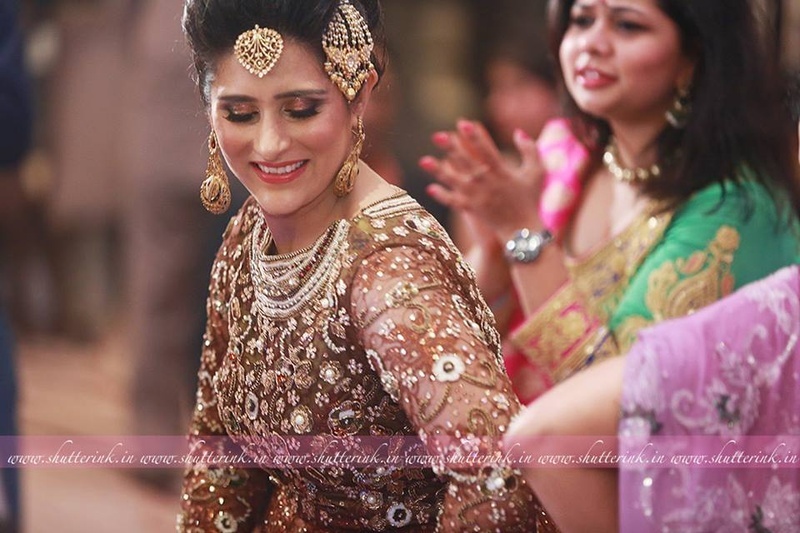 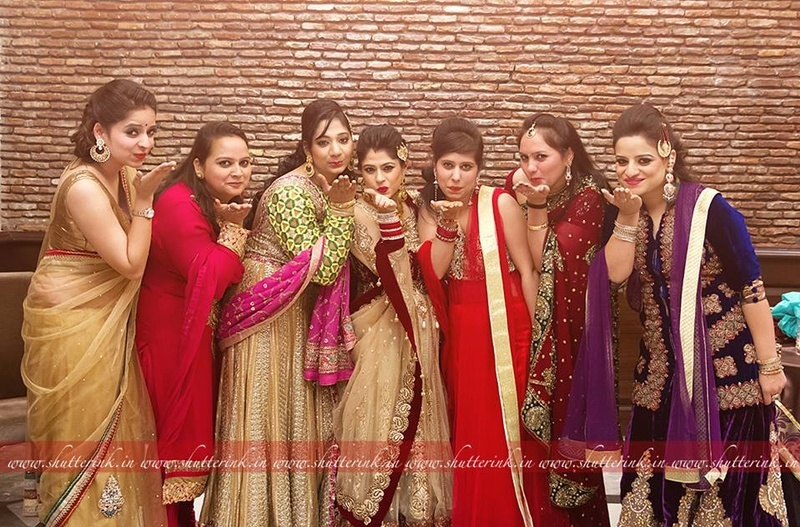 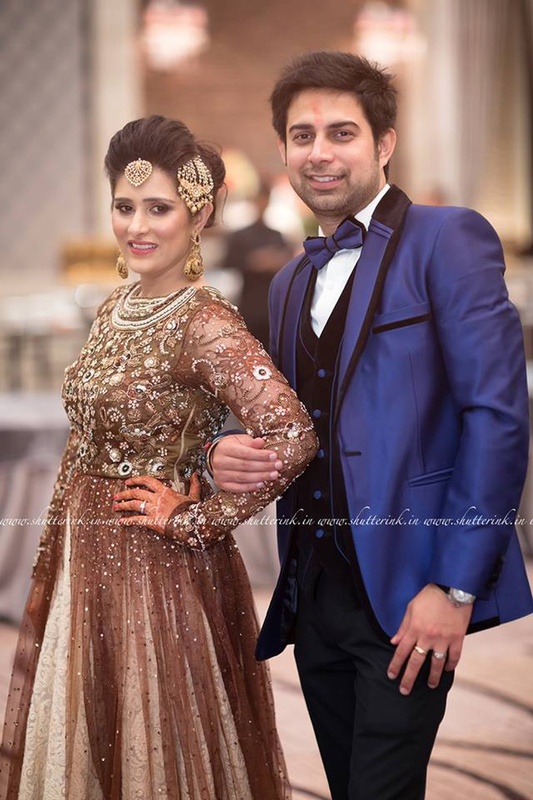 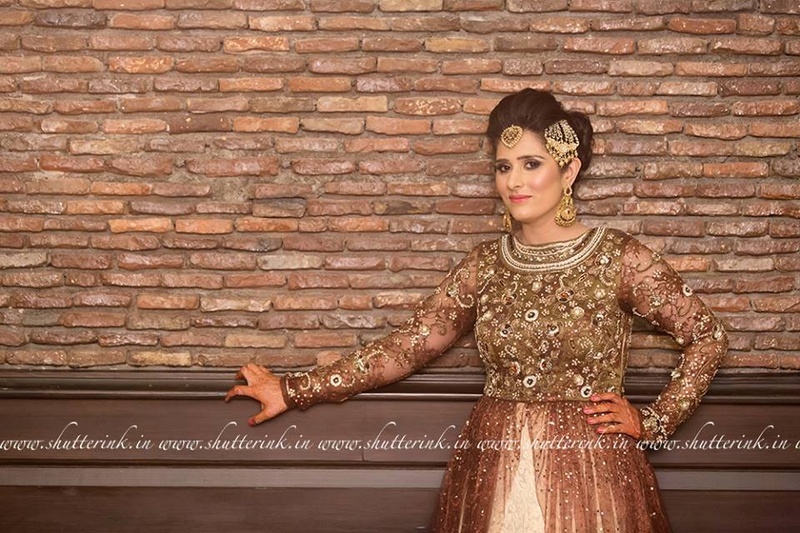 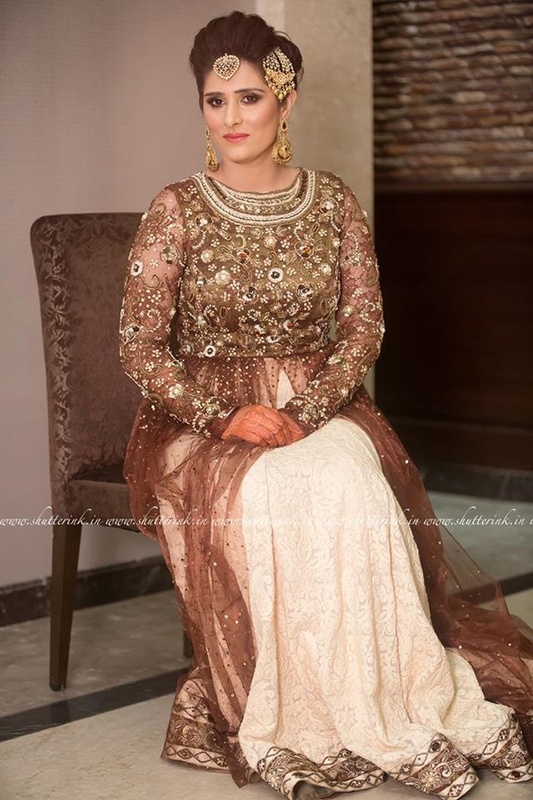 Payal was glamorously dressed in a stupendous brown and off-white cocktail gown that was embellished with a scatter of diamonds. 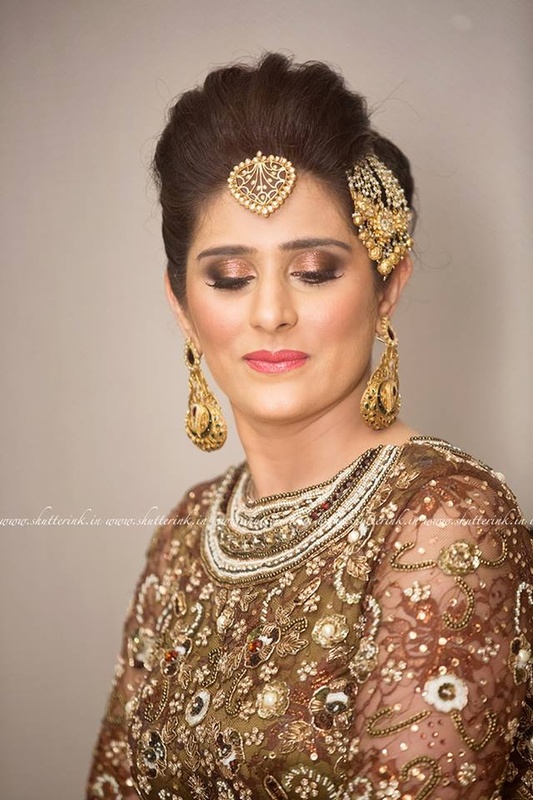 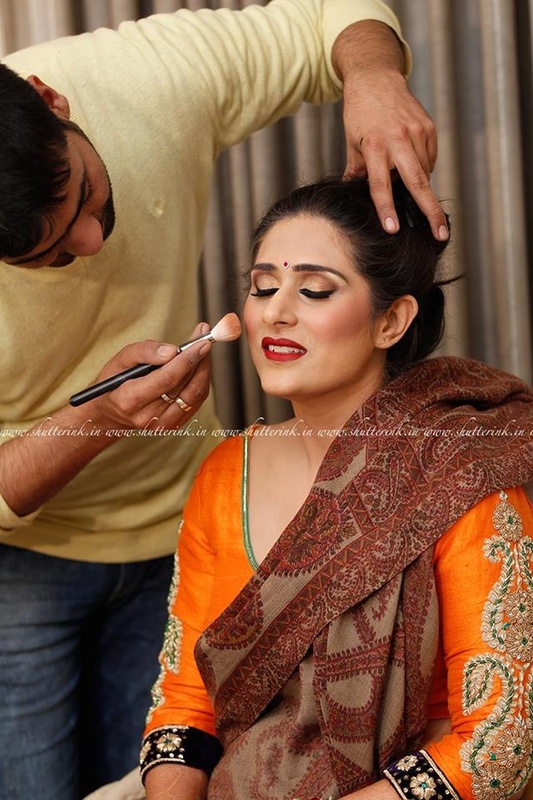 Her make-up, hairstyle and jewellery accentuated the entire royal look. 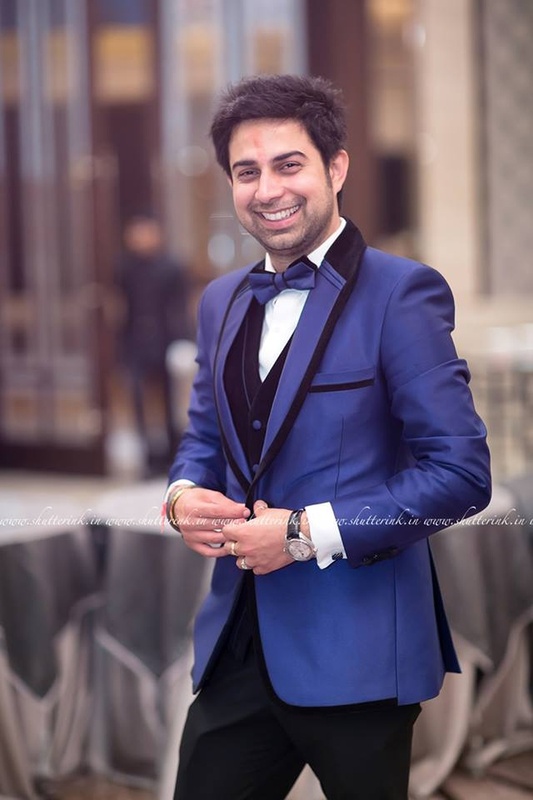 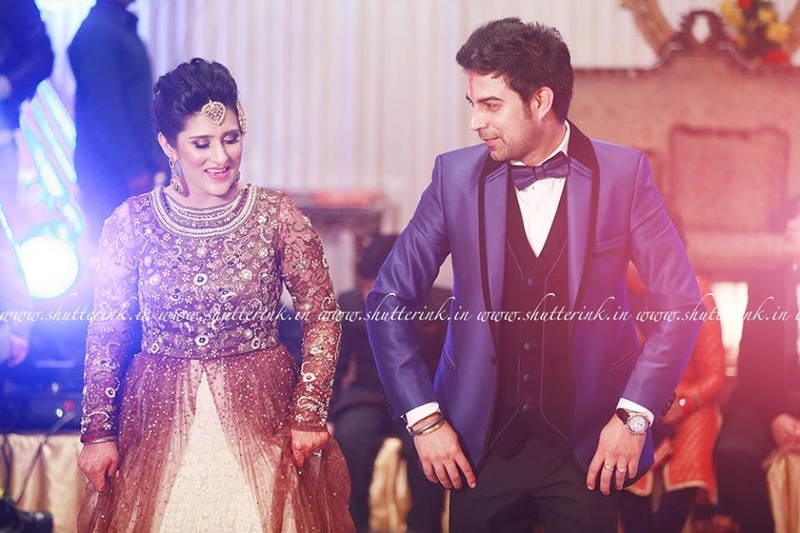 Amit wore an uber-chic tuxedo with a classic colour combination of navy blue and black. 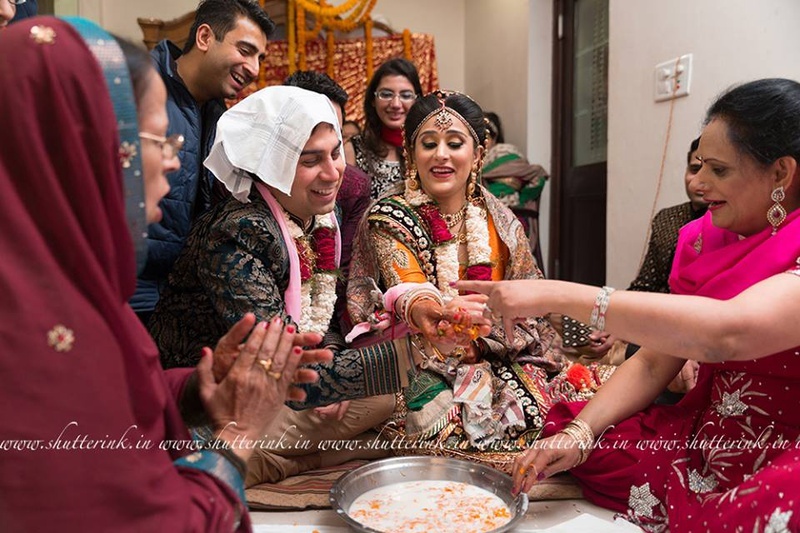 From the family members, relatives to the wedding guests and the couple, too everyone enjoyed dancing and celebrating this happy couple together. 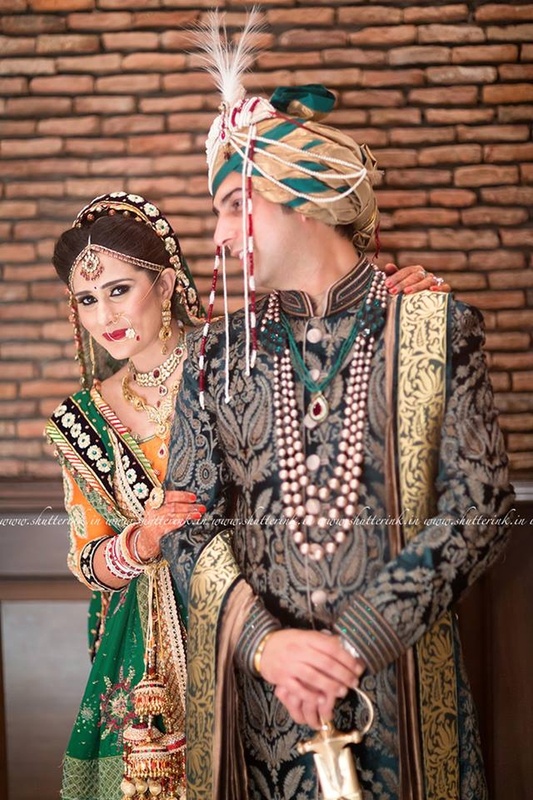 From their glamorous engagement attires, the bride and the groom changed into traditional wedding outfits that were absolutely outstanding. 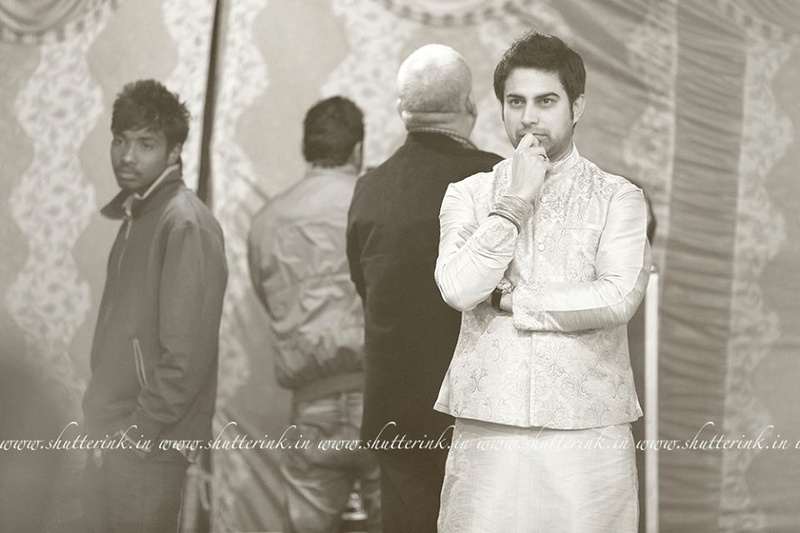 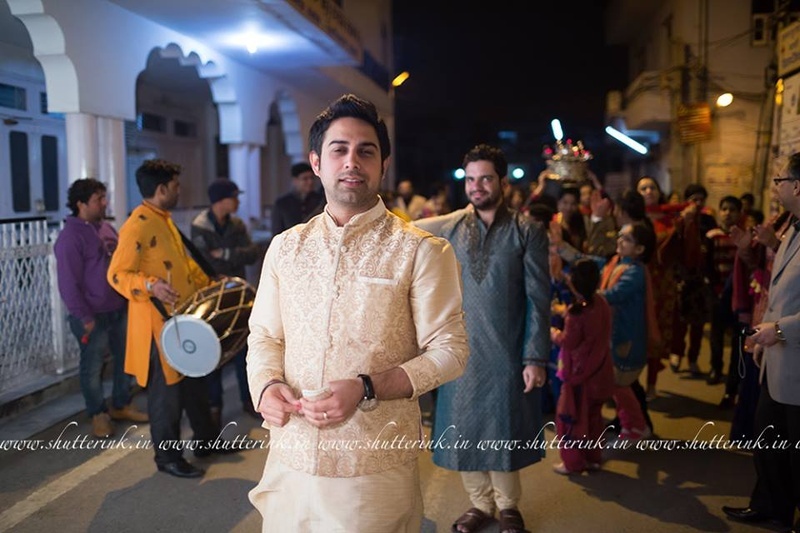 The groom’s designer sherwani spoke of royalty and grandeur, he wore a green and gold safa to complete his overall look. 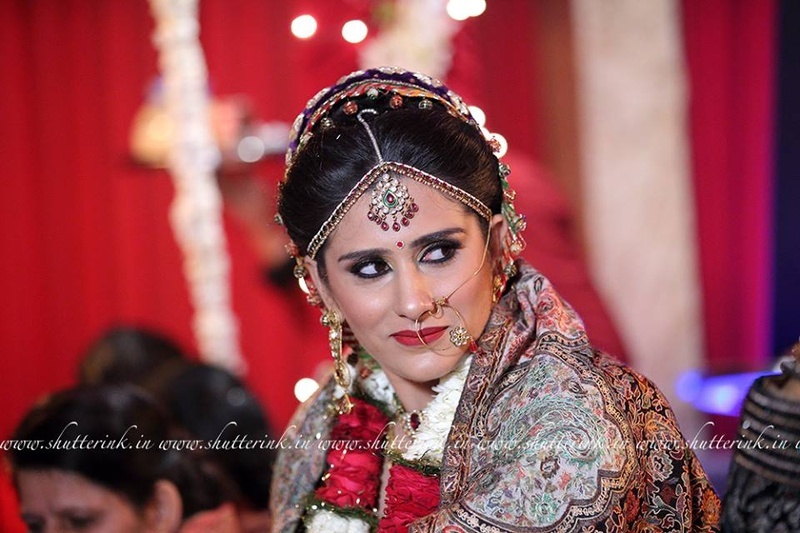 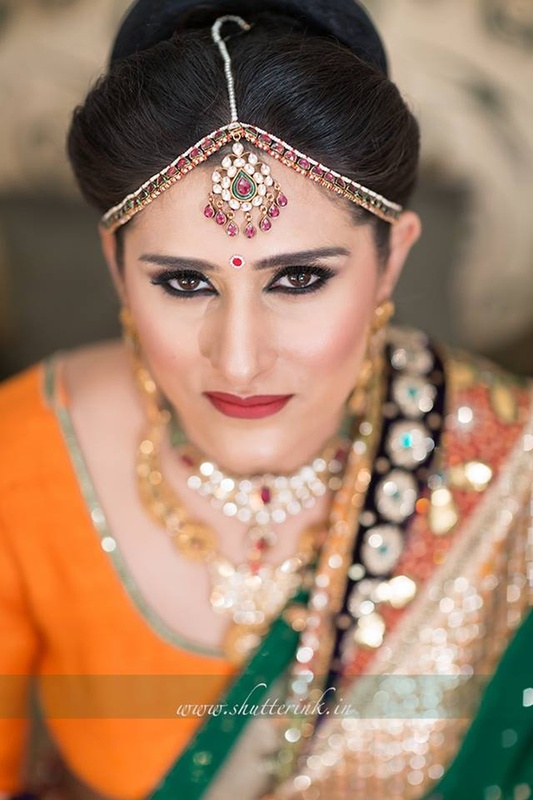 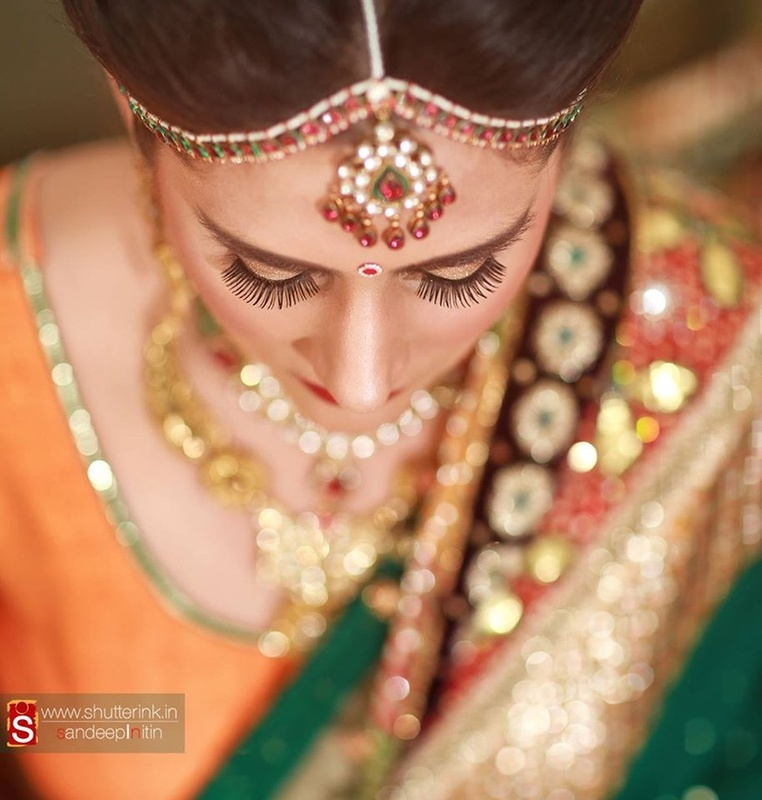 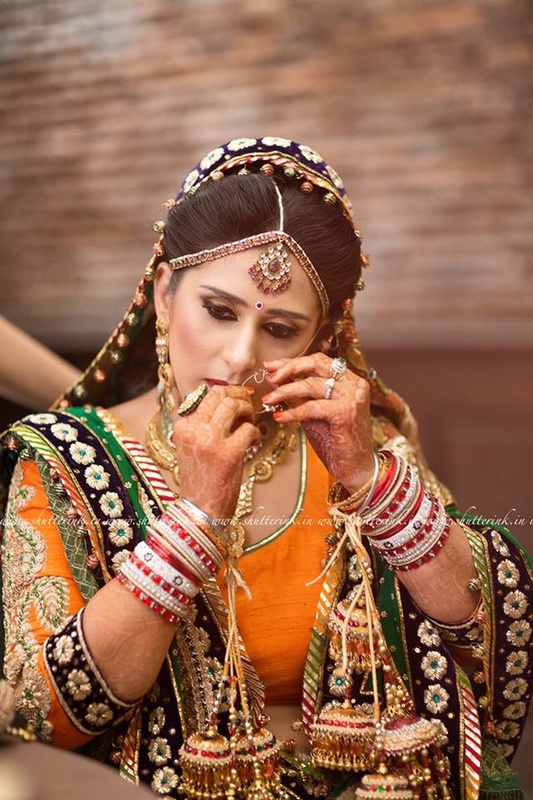 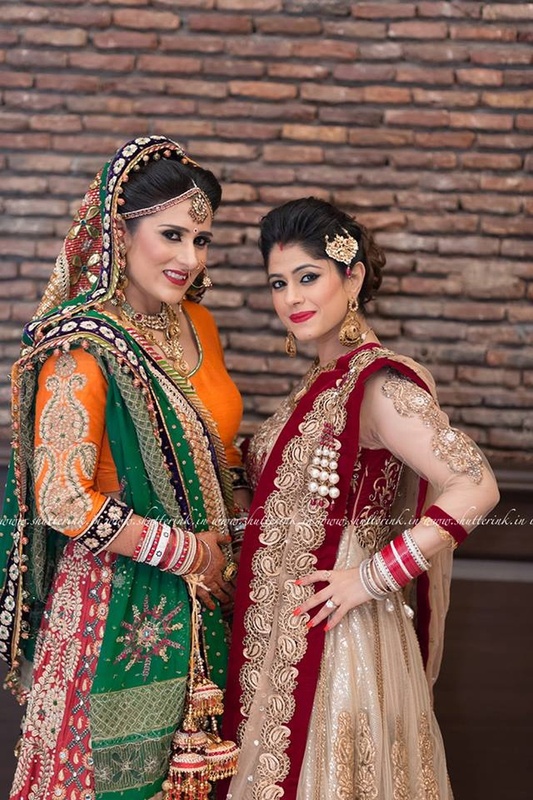 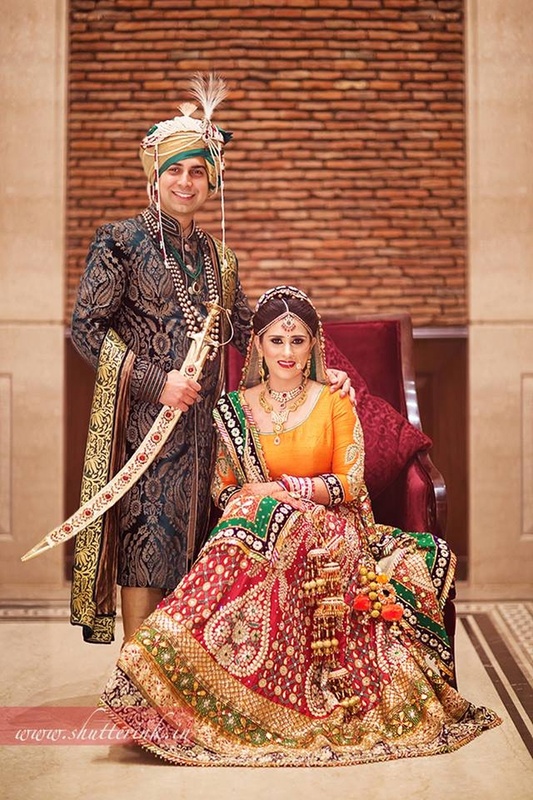 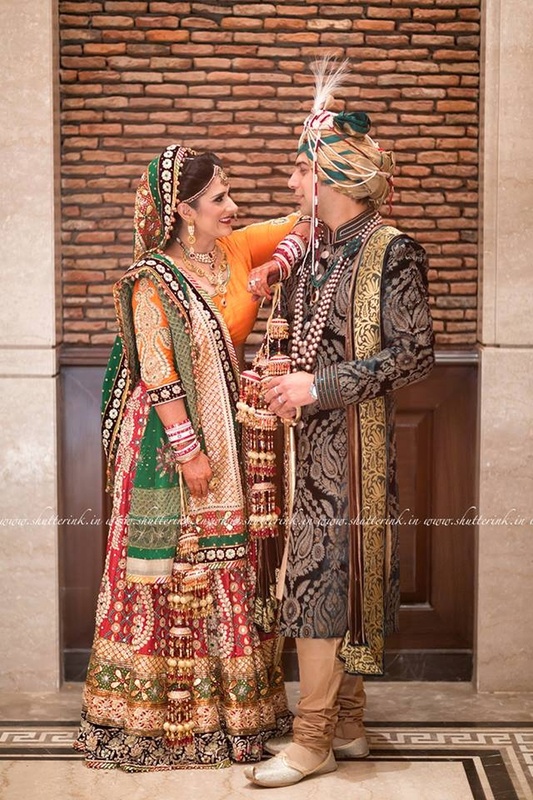 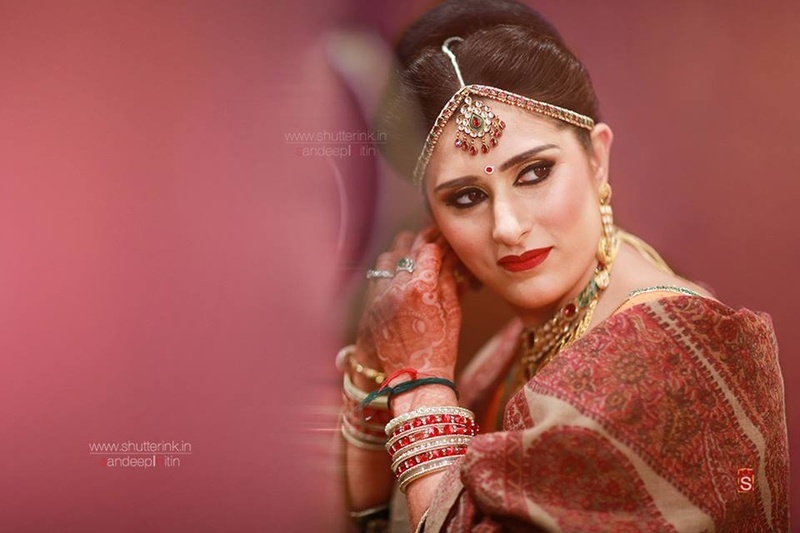 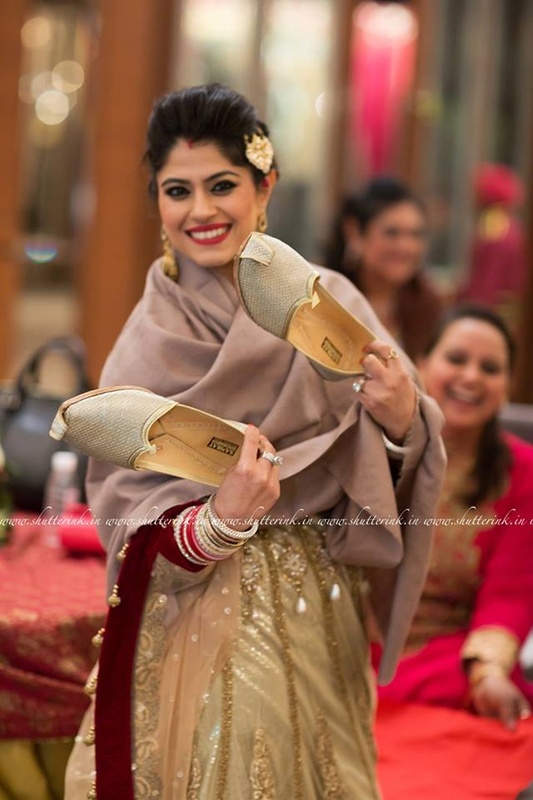 The bride’s mix matched designer wedding lehenga was embellished with gota patti motifs, and was accessorized with an attractive pair of kaliras. 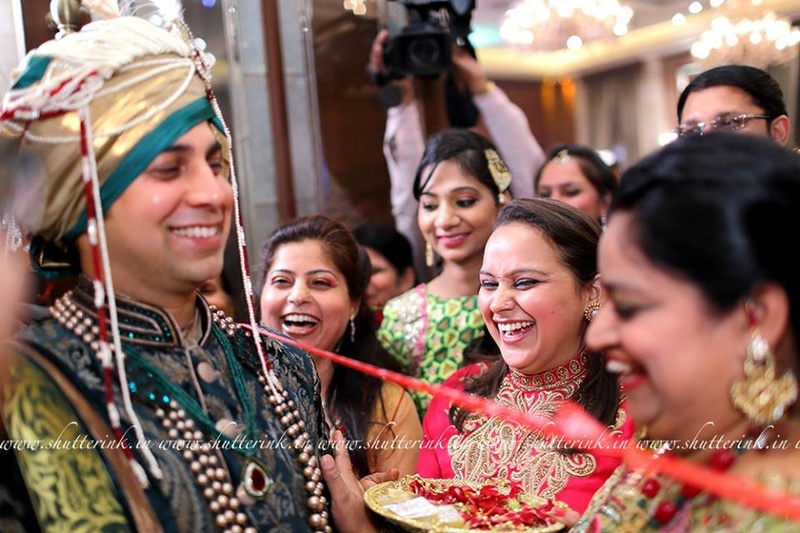 Whether it was the emotional Vidaai Ceremony or the fun ring-finding ritual, every image captured by Shutterink Photography leaves a long-lasting impression on you, a one that inspires and makes you revisit the wedding day.